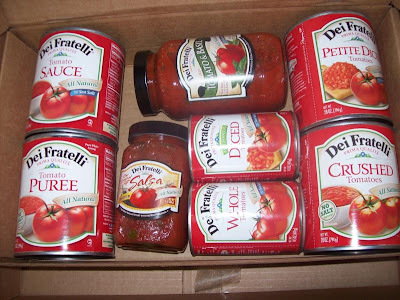 Dei Fratelli is a brand that makes a whole bunch of tomato products. I got to review their salsa, pasta sauce, crushed tomatoes, diced, whole, pureed, and tomato sauce! All of these products are great! Many of them use all natural sea salt which is great! They also have no salt added and low sodium products which is my favorite part about the brand. I am quite sensitive to salt so it is great to have an option without it. Their products are all naturally gluten free also. Also, on their website, they promote healthier living which is wonderful. Thanks Dei Fratelli for the great products to review.